VANCOUVER — Monday, September 24 marked the start of the 2018 fall quarter at Clark College. While official numbers are not available until after the 10th day of class, the day began with 11,717 students enrolled, down from last year’s Day One enrollment of 12,055. This reflects trends seen throughout the statewide system and through much of the country as well, and is in keeping with both the college’s and the state’s predictions for enrollment numbers. Some specific segments saw increases. Enrollment in elearning (or online) courses grew this year by 10 percent, with more than 5,220 students taking advantage of those courses. The college also saw a 12 percent increase in the number of students who identified themselves as veterans, with 349 students in total. Clark College’s Running Start Program also grew again this year by 1 percent to just over 2,437 students. This year sees the launching of the college’s third bachelor’s degree program, the Bachelor of Applied Science in Human Services program. This degree program is designed for students who already hold an associate degree in Addiction Counselor Education or a related field, allowing them to advance their careers in the behavioral health professions. It combines training in both mental health and behavioral health to build the skills that today’s health care employers are seeking. 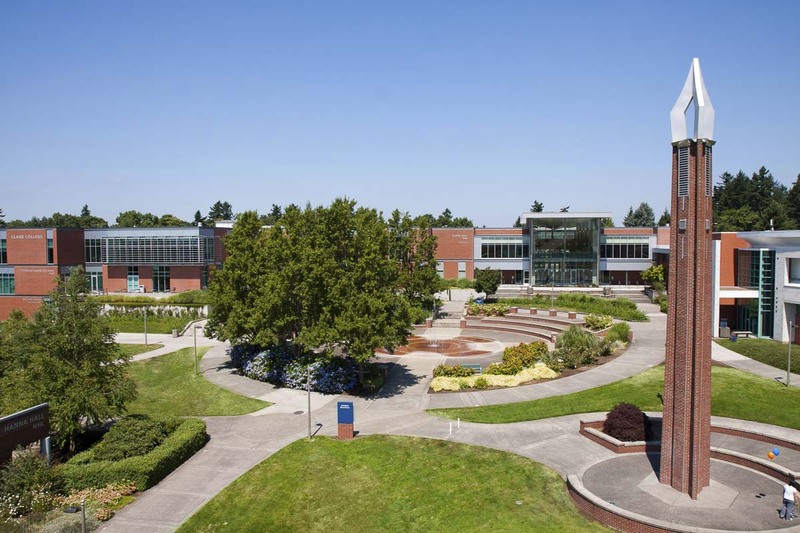 Located in Vancouver’s Central Park and serving up to 12,000 students per quarter, Clark College is Washington State’s second-largest single-campus, for-credit community college. The college currently offers classes at two satellite locations: one on the Washington State University Vancouver campus and one in the Columbia Tech Center in East Vancouver. Additionally, its Economic & Community Development program is housed in the Columbia Bank building in downtown Vancouver.